Erin and Gracie had a fun Halloween this year! 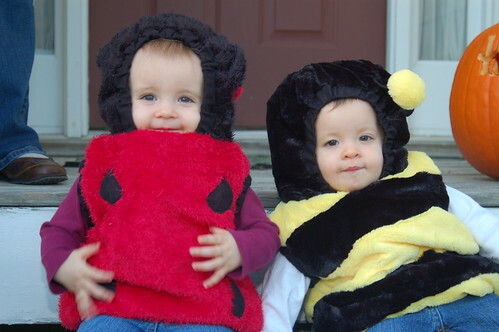 We actually got to dress them up (last year they were more interested in sleeping than wearing costumes), and we had some fun running around the front yard while waiting for trick or treaters. More Halloween pics on the Flickr page! Posted in 1 Year Olds | Comments Off on Happy Halloween!